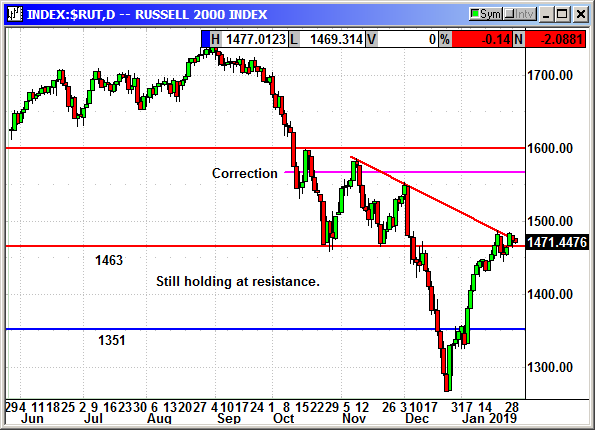 It was another good day for small cap stocks as the Russell held right at resistance. The impending Apple earnings caused the chips stocks to be weak and that kept the Russell from rising with the Dow. 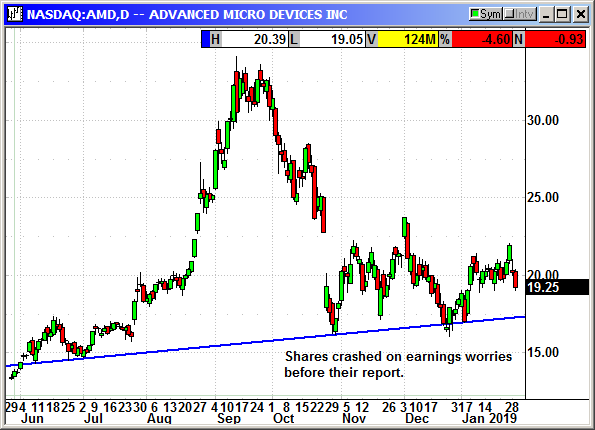 Fears that Apple would disappoint again kept the market on edge. The long position was stopped at $19.45. Shares closed at a two-month high on Monday ahead of earnings but fell to a 1-month low on Tuesday on fears they would miss on earnings. We were stopped at $19.45 on the decline. 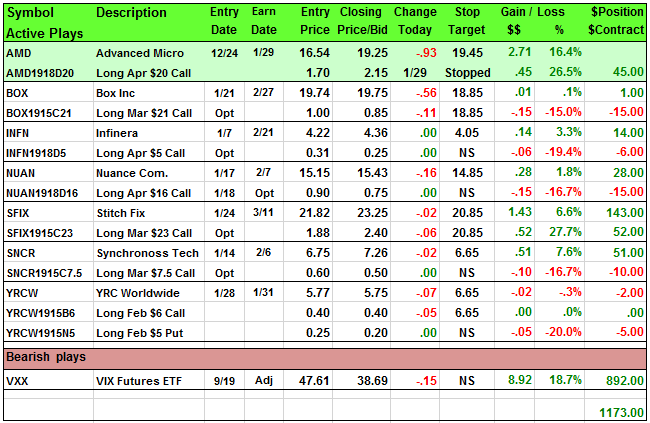 Closed 1/29: Long April $20 Call @ $1.70, exit $2.15, +.45 gain.